At New Approach Painting, we take pride in our versatility and ability to transfer our skills onto any project. Whether it be residential, commercial/industrial, interior or exterior, we are always willing to tackle any project with our great team of professionals. Over the years, our company has taken immense pride in completing restoration and heritage-style work. From 100-year-old wooden rondels suspended 30-feet in the air on the exterior of a Victorian home to old barn flooring, our team loves the challenge and intricacies of this specialized work. In this blog we’ll take a deep dive into New Approach’s appreciation and expertise for heritage and restoration style projects. 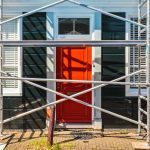 What is it a restoration project and why do you do it? Restoration and heritage-style work is classified as executing work on vintage, or sometimes historical, buildings and objects. The objective of this style of work is to recreate the bygone appearance of previous years of craftsmanship using modern techniques, tools, and technologies. 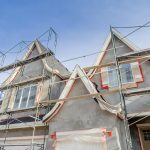 Interior and exterior restoration/heritage projects require a high level of expertise — there are no exceptions for anything less than perfect quality. Interior projects encompass a wide variety of difficult work, including: precise sanding, finicky cuts, drywall and plaster repairs, and the challenge of using unique products like oil and stains. 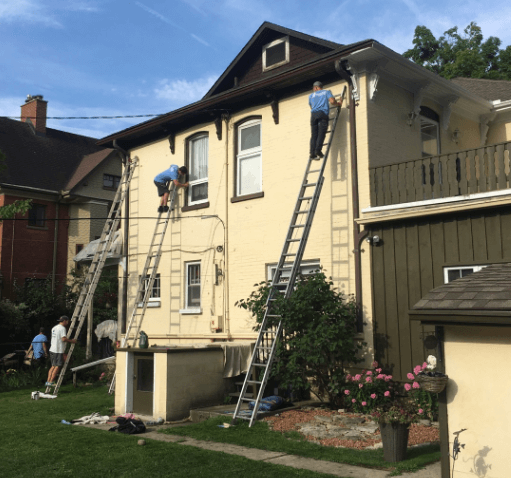 Exterior restoration takes lots of creativity and research in order to ensure that the right products and colour choices are made to suit such the era of the home — for example, styles like Victorian homes of the early 1900’s. In addition, the extreme heights, immense preparation, and the elements make this kind of work unpopular. So, why does New Approach undertake this specialized restoration work? We believe that our blend of expertise, craftsmanship, and ability to provide remarkable results are an ideal match for restoration/heritage work. 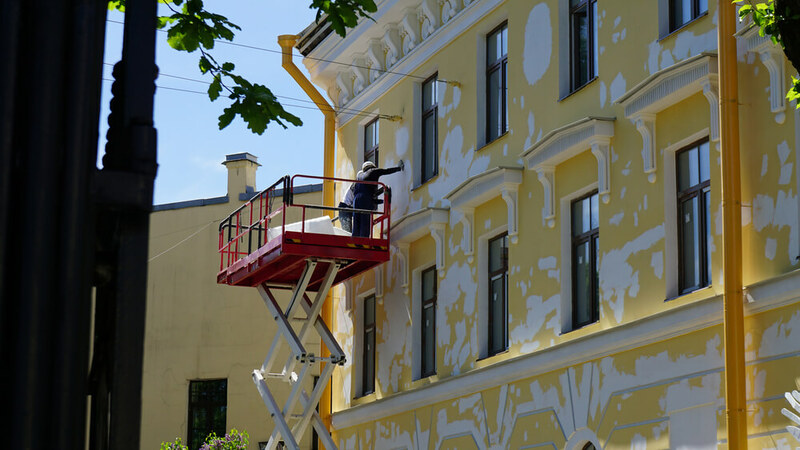 Our team of experienced veterans and young, ambitious painters have the combined skills and focus to get the results that our clients expect. Every project we take on is carefully quoted with a precise budget and detailed work plans to ensure desired outcomes are met. Our new and unique approaches include innovative methods and creative uses of products that add value to our craft. Without giving away too many secrets, some of our methods include the use of fibreglass and auto-body repair products. One of New Approach’s missions is to bring added value through our services. We know that high-quality restoration adds immense value to our customers homes and the community. We take pride in being able to assist in the preservation of historical homes and buildings. If you are looking for professional restoration work to be performed at your home, contact the experts at New Approach.